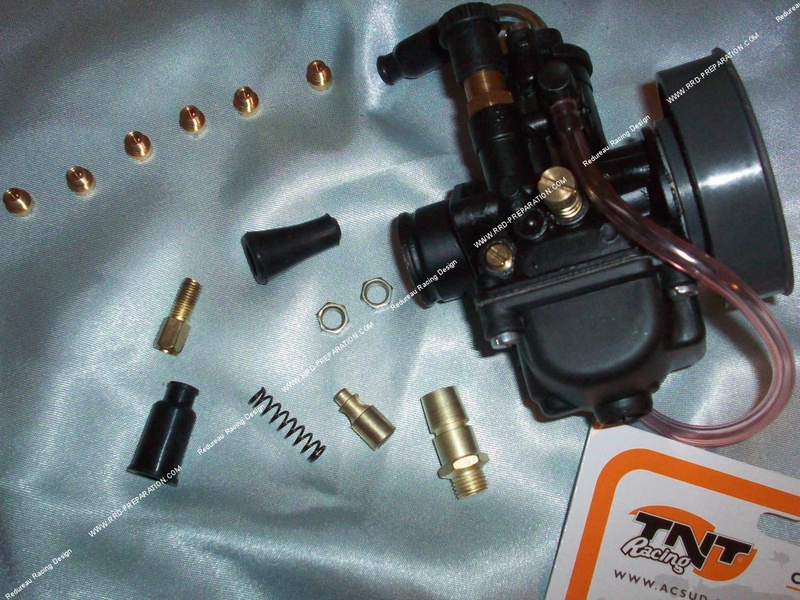 Here are the latest carburetors black edition racing TNT RACING home. We will be clear as to our practice on these carburetors. Certainly not cheap ... but the quality is not there, nothing to do with true DELLORTO. However, for a beginner who does not necessarily have high average! It disposeras a carburettor Ø21mm cheap and sprinklers, choke has cable + live zipper ... And this for less than 43 euros !!! We do not put the type PHBG in the title because it really have nothing to do with the true DELLORTO must be clear! It comes with a sprinkler range of 75, 80, 85, 95, 100 and 105! He'll be able deliver performance not too bad but a connoisseur not wilt in any case!